A sales evangelist, advisor and coach to disruptive startups and companies looking to expand into established and emerging global markets. Lavindra loves companies that routinely push the boundaries of what is considered possible or even probable! Early in his professional career, he discovered that he had a knack for bridging the divide between technology and the business. Lavindra has an innate love for technologies that seek to transform the human condition. His work with young and emerging companies in different corners of the globe keeps him breast of today’s intelligent, digital and meshing technology trends. In an increasingly digitally disrupted world, he has successfully helped companies in America and Asia sell their products and services globally by developing innovative, creative and disruptive sales and marketing strategies and tactics. Lavindra believes that we need new sales models that redefine how companies: attract buyers and acquire customers, compensate and incentivize sales teams, and properly position and market their wares. This evolved sales praxis is a mandatory requirement for any company looking to thrive in this new and exciting era of digital transformation. 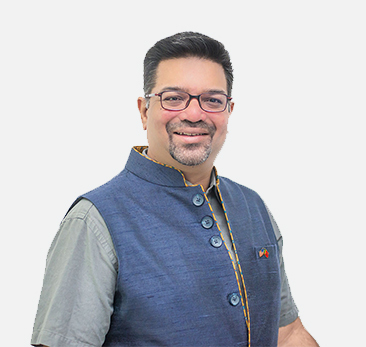 In an expansive global career, Lavindra has held sales leadership roles at several technology companies where he was credited with conceptualizing and building sales teams that generated exponential topline growth. Lavindra lived in the United States for over 20 years where he worked for Fortune 500® companies like Sallie Mae, PwC, Red Hat and smaller technology startups. Since his return Lavindra has built robust and scalable sales engines for a variety different technology startups in both Sri Lanka and India. Lavindra has an undergraduate degree in Economics & Geography (minor in Computer Science) from Clark University and has completed graduate work in Geography at the University of Kentucky. Lavindra has completed a certificate program on MIT’s Approach to Design Thinking.